« What does it mean to glorify God? A local bookstore has “sold out” of a controversial marriage guide that advises Muslim men on how to beat their wives. The store’s manager, who didn’t give his name, said the book had been sold out for some time, and the store’s owner, whom the manager identified as Shamim Ahmad, refused to comment for the story. 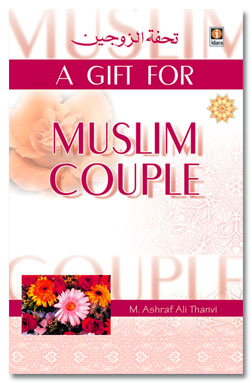 It wasn’t clear whether the shop has ordered more copies of the book, but it’s available at online Islamic bookstores and even through eBay. Male dominance over women has been making headlines for some time, with the recent lengthy trial and conviction of the Shafia family. Mohammad Shafia, 59, his second wife, Tooba Yahya, 42, and their son, Hamed, 21, were each convicted in January on four counts of first-degree murder in what was characterized as an honour killing of four female family members as punishment for disobedience. They were handed life sentences with no chance of parole for 25 years. Shafia’s three daughters and his first wife were found drowned in a car at the bottom of the Rideau Canal in Kingston, Ont., in June 2009. Eric Brazau says he was flipping through the marriage guide while in the bookstore around a month ago. The hypocrisy and deceit of muslim men who try to hide and deny they beat their wives or approve of assault and battery is sickening. Why are we filling up our countries with religious fanatics who hate women, Christians and Jews to begin with? Why are we giving refuge to those who burn Christian churches, Jewish synagogues and batter women? And why does the government tolerate the hate crimes of muslims when they can freely chant “death to Jews” in the streets of Canada, and promote books that teach them how to abuse a smaller human being? If a group of ordinary citizens chanted “death to muslims” they would be arrested immediately and charged with uttering death threats and charged accordingly after they were also charged with a hate crime. What is wrong with this whole picture? A book like that should be banned just like any book that promotes hatred and violence. If they are allowed to sell such garbage, then don’t complain when the KKK and white pride sell books discriminating against blacks, Jews, Christians, and of course muslims.